Classic clips sure to spark memories! 1950s-themed DVD runs a full 2 hours. Features famous faces like Lucille Ball. And fun, fresh Rock 'N Roll stars like Elvis Presley. Fun to watch and reminisce about! 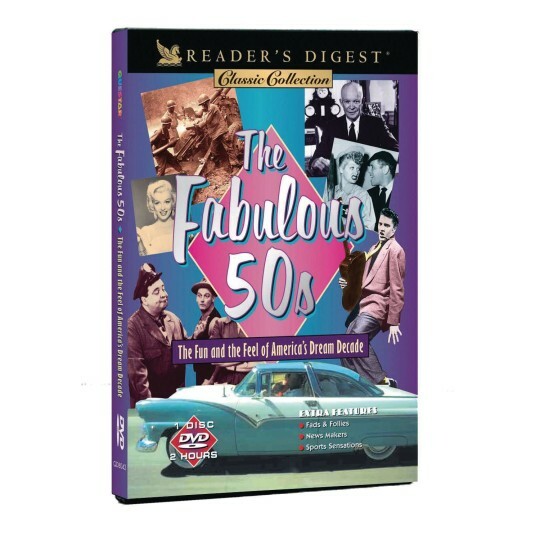 From poodle skirts to politics, the 1950s marked a decade of great change in America, and this collection of classic clips is sure to spark memories of that exciting time! Clients will delight at the famous faces like Lucille Ball and fun, fresh Rock 'N Roll stars like Elvis Presley that an emerging TV culture helped bring right into their living rooms! Running time: 2 hours.